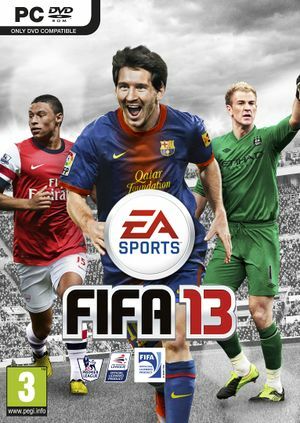 Released in North America as FIFA Soccer 13. Patch #2 is the last patch for the game. No dedicated mode; color blind options available through customization. Users with an AMD Crossfire setup will suffer from microstutter. It is therefore recommended that you disable Crossfire for this game via the Catalyst Control Center. This happens due to windows media player not being installed on a system. Unfortunately you have to have windows media player to play the intro .wmv file. Once you have windows media player installed again you will be able to get to the main screen. This page was last edited on 18 March 2019, at 20:18.